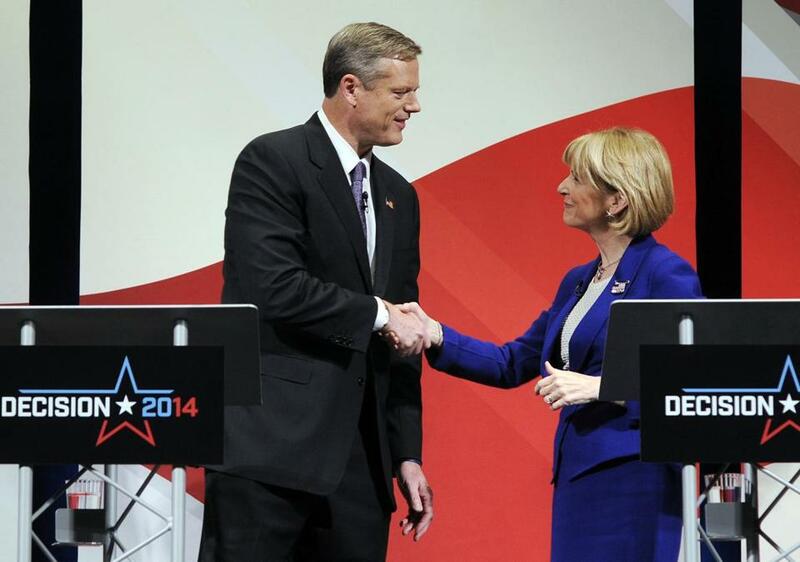 Charlie Baker and Martha Coakley shook hands before their debate in Worcester. Outside groups spent millions of dollars in the gubernatorial campaign. In the recent gubernatorial election, outside groups spent millions of dollars running negative advertisements on behalf of Charlie Baker and Martha Coakley. Overall, negative advertising is an unwelcome fixture in American politics — the strategy seem to be effective for winning campaigns, yet we blame attack ads for spreading misinformation and turning voters off to the political process. But maybe “going negative” isn’t so bad for the health of our political system after all. A new book by political scientist Kyle Mattes and David Redlawsk, “The Positive Case for Negative Campaigning,” finds that when you get right down to it, we actually appreciate negative advertising’s unique ability to convey information we want to know before casting our votes. In their book, Redlawsk and Mattes use a variety of methods like surveys and lab experiments to answer two questions: Do voters actually dislike negative advertisements? Do negative advertisements play a useful role in disseminating information? Answering the first question proved to be simple. When voters are asked, “do you like negative advertising,” they reliably answer, “no.” But when the question is asked in a less loaded way, say, “how do you feel about a candidate providing information about his or her opponent,” Redlawsk and Mattes found that people respond very positively. The authors also point out that voters prefer competitive elections, in which candidates really have to work for our support, and that negative campaigning fosters those kinds of races. Redlawsk explains that if challengers were unable to make strong critiques of incumbents, “they would have a virtually impossible task.” Meanwhile, an incumbent with a 30-point lead in the polls would be happy to blanket the airwaves with cheery messages, even when we know things aren’t really going that well. Given the choice between positive campaigns and competitive ones, Redlawsk thinks it’s obvious which we should prefer. “We’re not going to be able to simultaneously make campaigns more competitive and less negative, and I don’t think we should,” he says.